Shinwa Hand Forged Carbon Steel Samurai Katana | BUDK.com - Knives & Swords At The Lowest Prices! 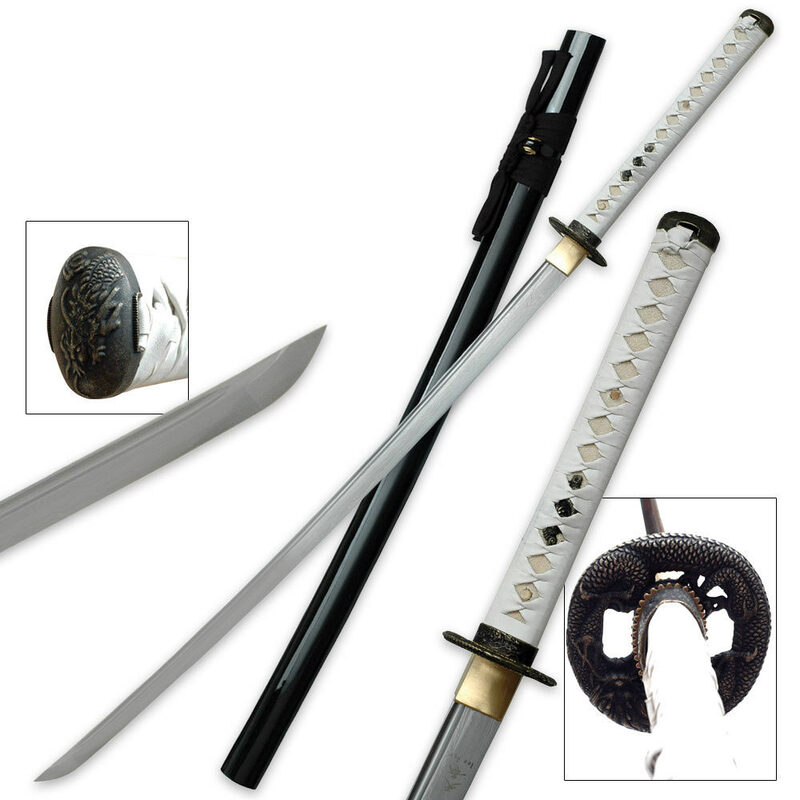 Embrace your inner Samurai soldier every time you wield this Shinwa carbon steel masterpiece. This breathtaking Samurai katana sword features a massive hand-forged carbon steel blade with a deep blood groove, accented by custom fittings including a cast metal alloy dragon tsuba, cord wrappings and genuine ray skin on the handle. These exquisite details and accents give this stunning katana the one-of-a-kind, custom look and feel of katana that cost hundreds of dollars more. This Shinwa Samurai katana includes a coordinating lacquered scabbard. This is a very nice sword. i love it. not too sharp, but i can fix that. great craftsmanship. I highly recommend this sword to anyone. It is great.